Feeling a bit blue this Single’s Awareness Day? Sickened by all the shiny, happy people getting flowers and want to read about death, destruction, murder, and mayhem? Do you think dystopia > dinner dates? Well, folks, today’s your lucky day, as in honor of all you lonely singletons (or soon to be if tonight goes poorly) out there, I’m making “After the Scythe” available for free through the 18th. 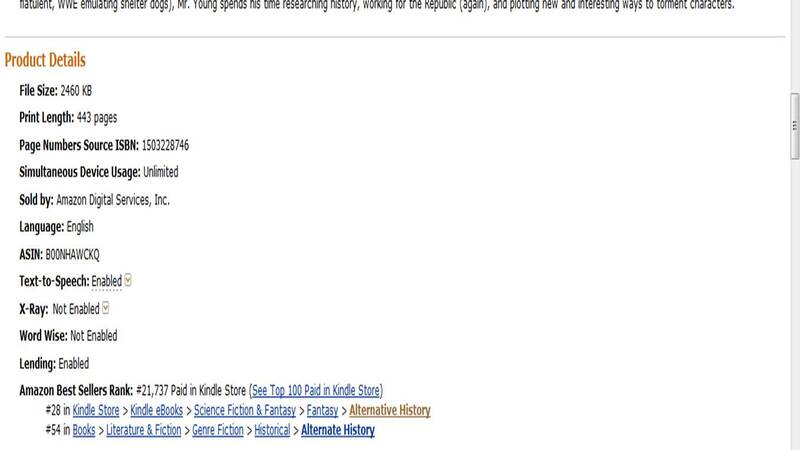 So Acts of War is now #28 on Amazon’s alternate history chart.